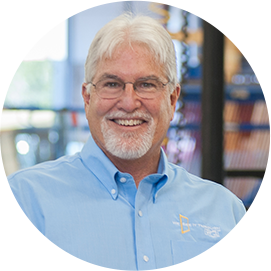 A 35-year PGT® Custom Windows + Doors veteran, Sam uses his engineering and manufacturing experience to solve problems, resulting in stronger and smarter products. We identified a need to launch a vinyl impact-resistant product, so I was given the task to get it to market as quickly as we could. I’m used to working through problems, so improving our products always came naturally.